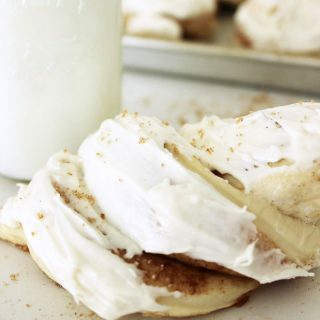 You will love this recipe for homemade cinnamon rolls with homemade frosting. They are the best you’ll ever have. Guys. Get PUMPED because I am about to share with you one of my favorite recipes OF. ALL. TIME. You heard me. They are that good! 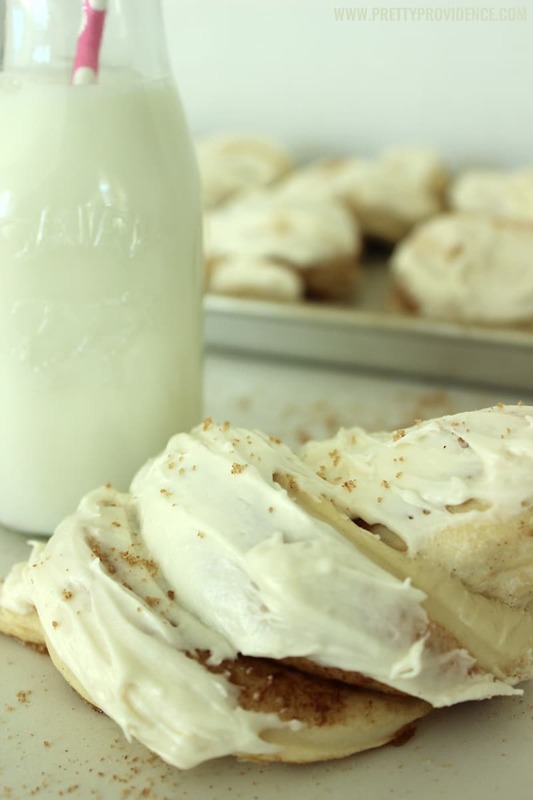 You may be thinking to yourself, “I have a cinnamon roll recipe.” But you don’t have this one, and you really should! I will never forget the day when my best friend Cassidy first brought us a batch of these babies! They disappeared faster than I care to admit! Since then I crave them at basically every holiday or special occasion, and they are my favorite thing to bring to neighbors and friends! Plus, they are dirt cheap to make and you probably have everything you need on hand! 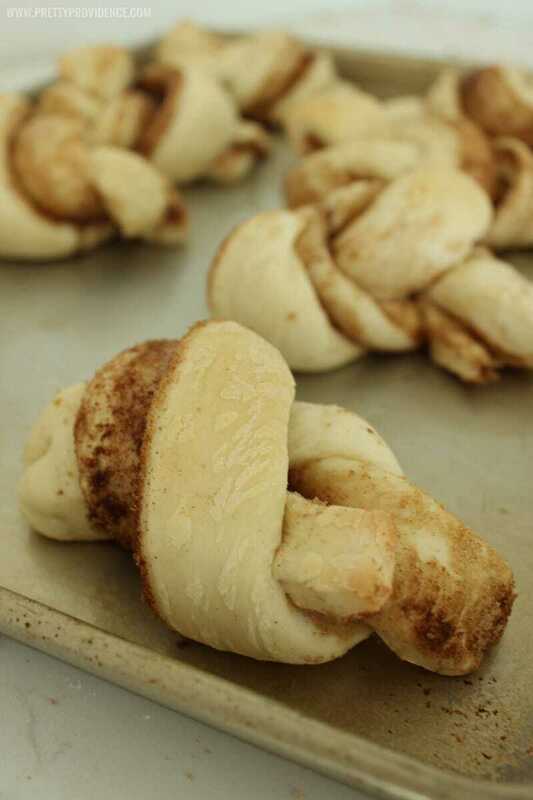 You may notice from the picture that they are less of a cinnamon “roll” and more of a cinnamon “knot.” The shape of these are a big part of what makes them so fantastic, because you get cinnamon sugary goodness and sweet warm frosting on every bite… not just in the center! Have I convinced you yet? Read on for the recipe and pictorial. In a large mixing bowl (I use my Bosch Mixer) add yeast, sugar, 3 cups flour, salt and powdered milk. Next add in your butter, hot tap water, and eggs and mix until combined. Gradually add in remaining 4 cups of flour. Knead dough in mixer 10 minutes. Let rise approximately 30 mins. Do not punch down. Roll out your dough in a large rectangle. 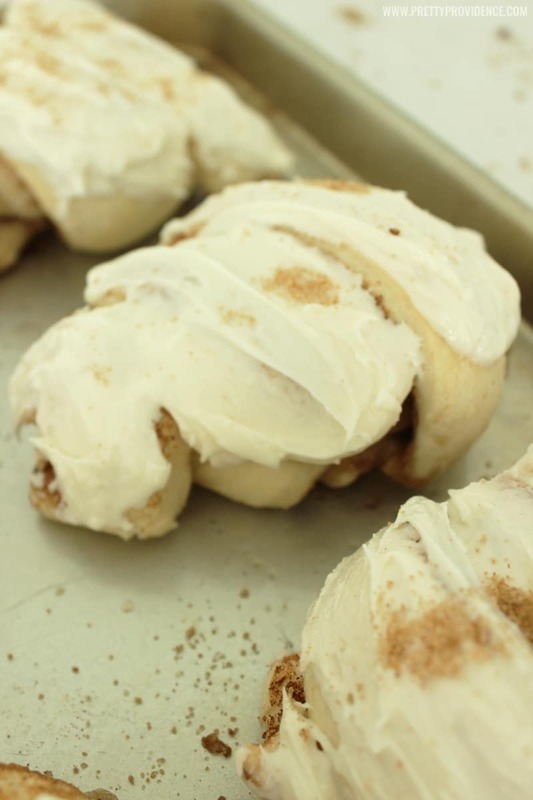 Spread melted butter over the rolled out dough, then spread brown sugar over half your dough and generously sprinkle with cinnamon. Fold remaining dough over the half that is covered in your topping. 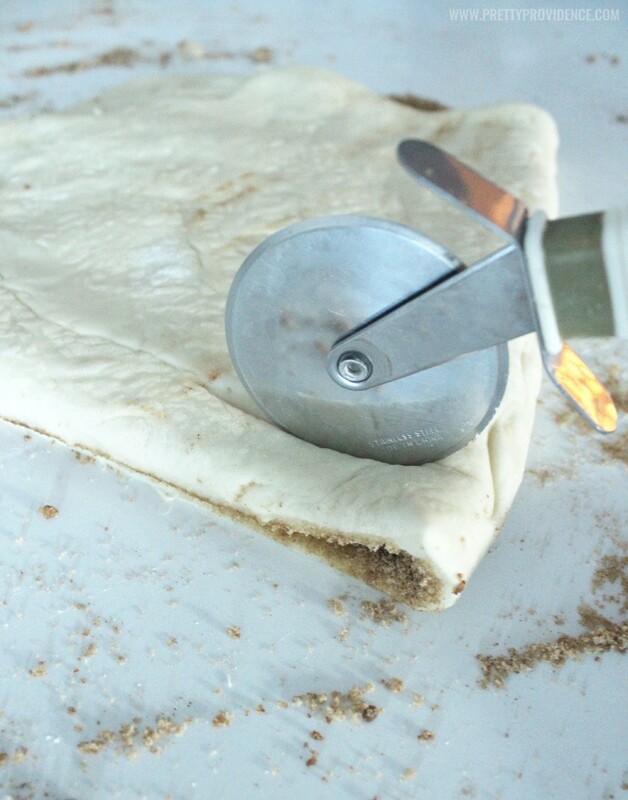 Use a pizza wheel to cut your dough into 1" strips and twist your strips into knots. 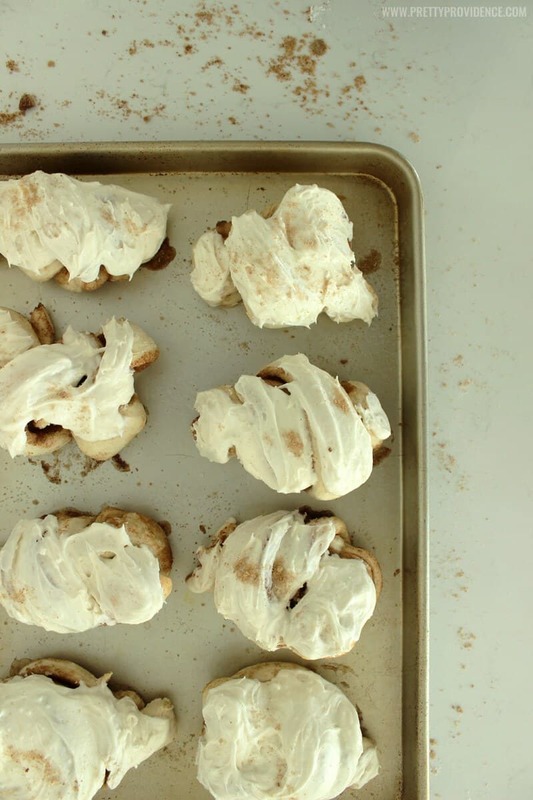 Place on greased cookie sheet and bake at 350 degrees for 15-20 minutes. 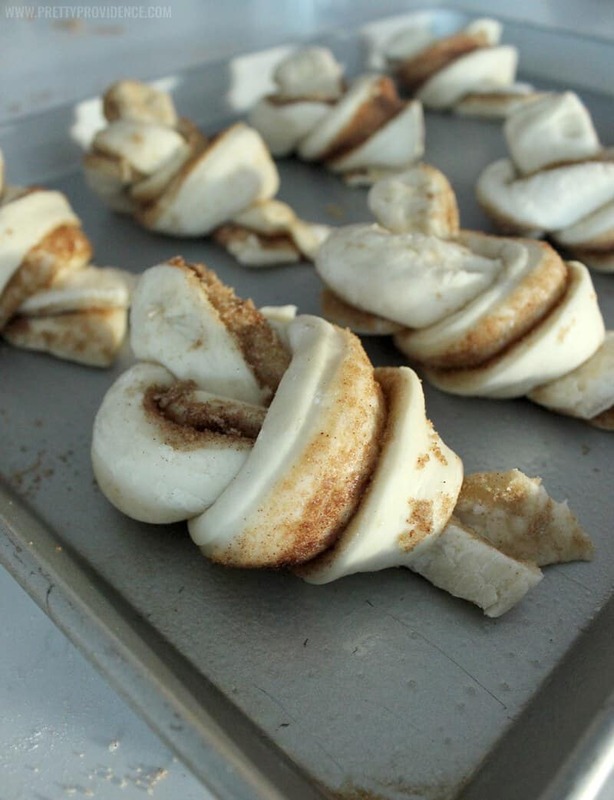 Remove from oven and let sit about 3-5 minutes and then spread with frosting. Makes approx. 18-20 large rolls. Mix all ingredients until combined and desired consistency is achieved. Let me know if you try them! 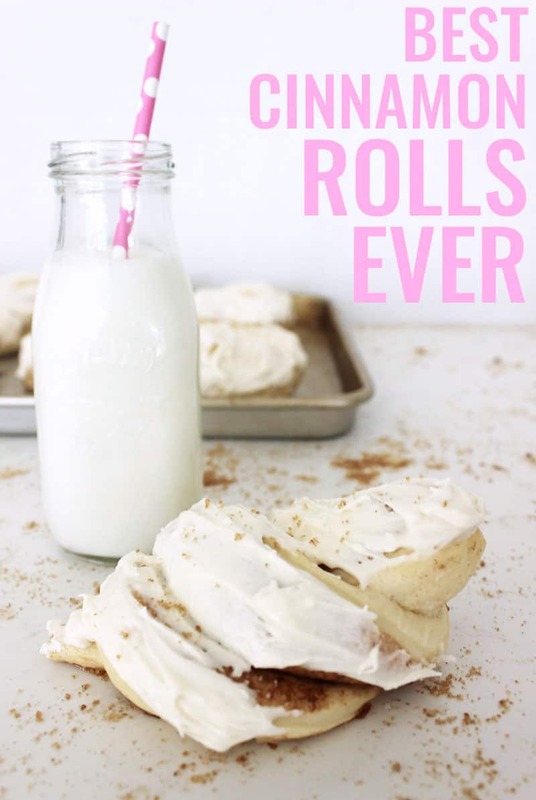 I know you’ll love them as much as we do! P.S. If you liked this post you will LOVE our amazing breakfast casserole and our easy overnight waffles! Check out a sneak peak video of the breakfast casserole below! These are amazing!!! i’ve personally eaten 7 in one day. yikes! Haha! It is hard to resist them that’s for sure! Hi Jessica I can’t wait to try these! Just to be clear you actually tie them into a knot? You aren’t just twisting them?